How Do You Avoid Spoilers? What's With Gamer Entitlement? Happy Fourth of July and welcome to Ask Kotaku, where I answer all of your random questions. Keep the questions coming in for next week, and don't be afraid to have fun with it! You can ask me anything. Who would win in a fight, a ninja or a zombified lion? What's the best hangover cure? Is eating baby food weird? Anything! Well... my whole life I've been this huge gamer. And recently I've met friends who play video games, but they aren't the video games I like. And their personal feelings towards the games I like is totally negative. They only like to play Guild Wars 2 and Battlefield. And I can't really stand those games. We do play Diablo 3, but that is the only game we agree on. They are also married with kids. We're all in our upper 20's too. I'm moving to my first real place, away from my good friends (who don't play the games I like), and I'll need to focus on my career. But at the same time I'm still a huge gamer. I love video games. And I wonder what should I figure out for myself? Since you guys work in the industry and I'm basically the guy who goes to like 50 or some odd release dates. I figure you guys know more of these philosophical/being a gamer type of thing. Should I just play the stuff I like when I have the free time? or should I just up and quit? If I become a Doctor I might not have time, but then again once I'm done as a nurse I can play on my free days. This is hard. I don't want to quit gaming, but I want my career and life to move on with itself. What would be your professional opinion? Most people I've met in college don't seem to love gaming as much as I do either. Any suggestions I would be most kind. Don't up and quit. Gaming is obviously an important part of your life, and there are always ways to make it fit within your schedule. If you have to downsize, so be it. Life shifts up and down, so some months or even years will be more hectic than others, and that's reasonable. Everyone goes through that. My suggestion to you is to play the games you're interested in when you've got some free time. Don't gamble too much on games you're not sure if you'll like, unless you have good reason to. Your time is about to become very precious, so treat it as such. This is my first time asking a question, so bear with me. 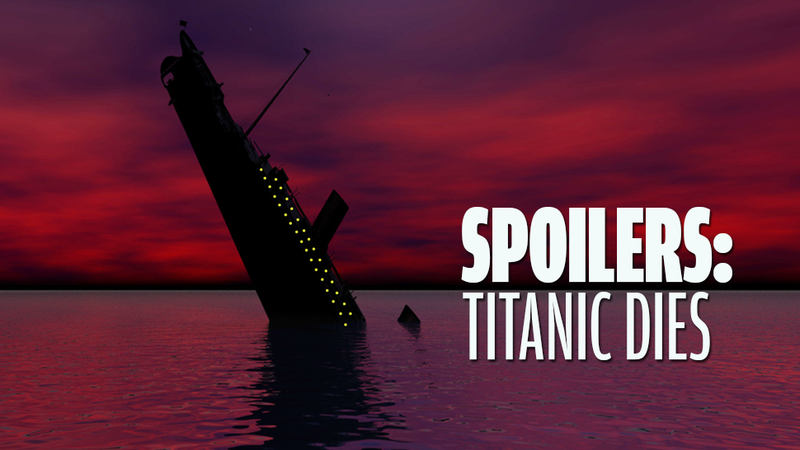 Anyways, recently with the release of games like The Last of Us and such, I've had a hard time dealing with spoilers. Trailers give away too much (I knew that she survived until winter because of a picture against a snowy background) and press releases can give too much information about plot. How do you deal with spoilers and new videos whilst remaining excited about the new game coming out? Even as someone who covers the video game industry, I somehow manage to avoid (most) spoilers. I'm truly amazed myself. A few things will slip through, of course, and a few trolls will manage to spoil some things for you, but for the most part you should avoid areas of the Internet where you know you might be most prone to those reveals. For instance, if I want to go into a game not knowing much of it, I usually avoid comments and threads discussing it because not everyone is as careful with the spoiler tag there. Reading sites like Kotaku, I will sometimes altogether avoid trailers and news if I see fit. I had to skip all of Kirk's The Last of Us stories until I finished just this last weekend. First thing I did after finishing was hop on our tagpage for the game to read everything we've written about it. Typically press releases and news outlets know better than to spoil the bigger details. Sometimes mistakes happen, or someone will reveal more than you personally wanted to know. I often watch movies without any idea of what they might be like. I don't watch many trailers and I certainly don't read up on them beforehand. I like it that way. You just have to do the same. If you see an article about The Last Of Us on Kotaku, for instance, just avoid it completely (if that's the game you want to keep unspoiled). It's better safe than sorry. When I see people tweeting about the Game of Thrones finale while I'm waiting to watch it with a friend, I'll just avoid Twitter that night. I'm 25 years old, and as well as that makes me not necessarily an old timer I have been around games my entire life, to say it's something I enjoy is a complete understatement. Lately though, I feel as if a large portion of the gaming community has this strange sense of entitlement, that I don't remember the community having that I grew up with. I remember rushing through the store to spend my hard earned $7.50 on the latest Tips & Tricks or GamePro. Hardly ever would I open it to read the letters gamers sent in and see anywhere near the pessimism that is seen in such outlets today. Do you think it is soley the rise of the internet and anonymity that has led to the rather pessimistic attitude by the gaming community at large? I think it's a general case of the Internet. It partially has to do with anonymity, but I think that veil creates a bigger issue of vitriol than just normal negativity. It's fine to have dissenting opinions. It's fine to disagree and argue, even. But you don't have to be a jerk about it. Hiding behind a computer screen makes it a lot easier to be a jerk. Half the things people say on the Internet they would never say to each others' faces. As to why there seems to be a constant air of pessimism on the Internet, especially within gamer communities, I think it's the result of misplaced passion. Ultimately, we do all love games. But everyone's got an opinion on everything, and they're always right and you're always wrong. We've slipped into this binary thought process that's incredibly damaging to the sorts of conversations we could be having in place of all the inflammatory wars that happen instead. That perspective—that each person wholly believes that they're "right" and everyone else is "wrong"—is where the entitlement comes into play. They feel entitled because they feel they're right. There's no room for discussion, and anyone who disagrees is an idiot and that's that. It's a very dismissive attitude. Now, don't get me wrong. I don't think gamers as a whole are entitled or pessimistic or jerks. But the Internet sure does have a way of bringing those people out to the forefront. One of the most encouraging things to me, however, has been interacting with gamers in person. Playing games together. Hanging out with them at PAX. Everyone is friendly and wants to talk about all the things they love and are even capable of friendly debate. I was recently asked to be more clear with readers about who Kotaku is and isn&apos;t for. I kept this week's Ask Kotaku shorter, but I'll have plenty more next week. Keep emailing me those questions! And have a good long weekend. Thanks to my friend Black Lite Attack for the Titanic joke, and Shutterstock for the base image.